The team at Beaufort Street Dental Centre is here to support you in improving your oral health and achieving your desired outcomes. When you call to schedule an appointment, our receptionist will get the necessary information to understand what you’re looking for and how we can help you, as well as detailing all costs involved in your visit up front. Our friendly and experienced team will help you get started when you arrive at our office. Upon your arrival, you’ll be warmly welcomed and asked to fill out a confidential medical history form. We’ll talk to you about how you’re feeling in case you’re in pain or have felt nervous going to the dentist before. We want to make sure we do everything possible to put you at ease. Then, you’ll sit down with a dentist to discuss what’s brought you in. We like to get to know you first and make sure we understand exactly what you need. We’ll proceed with treatment and can schedule you back for any future work that’s needed. We ask that you pay on the day of treatment but we can split up the payments when more complex work is needed. 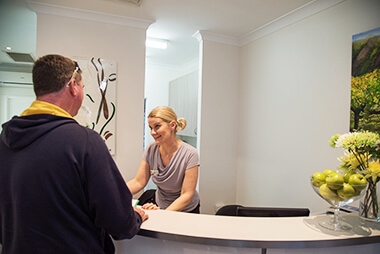 Beaufort Street Dental Centre is a preferred provider for HBF, BUPA and Medibank Private. HICAPS facilities on-site process your claim on the spot. Contact us today!